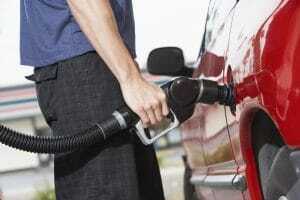 Aside from fuel prices and parts, car repairs are costly. The last thing you need right now is to have issues with your vehicle, especially while you’re on the road. Your car takes you wherever you need to go, so keeping it in good condition is very important, and taking preventive measures will spare you from a lot of trouble and money. If you can afford to get a new car after several years, it is much better to give your current vehicle the care it deserves, instead of always spending needlessly on a new one. With just a little time and effort, you can extend your vehicle’s life, have fewer repairs, and prevent it from depreciating faster. Letting dirt and dust to collect on and inside your car will not only make it look old and unattractive, but it can also contribute to wear and tear on its surfaces. Make sure you wash and wax it regularly to maintain its pristine condition. Also, use cleaning products that are made especially for auto interiors to avoid getting cracks on your leather seats and scratches on your dash. Having your vehicle always exposed to the sun will cause problems to its surfaces. It will also wreak havoc on the exterior paint and bleach the upholstery. So, make sure keep it inside your garage, under a tree, or use a car cover to protect it from the elements. They are the ones that have direct contact on the road and are often overlooked. As such, proper care is essential so check them regularly to ensure you maximise your tyres’ lifespan. Make sure they are well-inflated and avoid running them through potholes, if possible. If you’re not a huge fan of buying tyres frequently, give them the care they deserve. To keep your vehicle running properly, it is important to keep up with oil changes. You will notice an increased friction between the moving parts of your car when your oil levels become low, or it becomes old and grimy. Having your oil changed regularly will prevent rapid wear to the engine. Also, check the rest of your car’s fluids like the brake fluid, transmission fluid, power steering fluid, and radiator coolant. Keep an eye out on leaks that will cause severe problems if not fixed immediately. 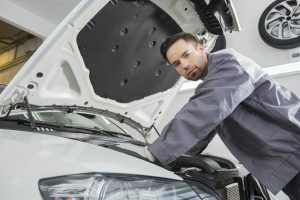 If you’re noticing small things like humming when you turn on the air-conditioning or if your car is pulling to a particular side, don’t overlook these little issues as they will cause you more problems down the road. Be sure you have these minor issues fixed as soon as possible to avoid further and more costly damages. You can quickly increase the lifespan of your vehicle just by following these simple tips and adding them to your routine. You want it to last as long as possible so make sure you give it the proper care it needs, and don’t take your car for granted. If you found this article useful, please share it on your social media accounts. This helps us reach more people and motivates us to keep delivering blog posts like this one. Thanks.